Indian left-hand opener Shikhar Dhawan, who was sustained from the thumb injury in the first test against New Zealand, was ruled out of the series. 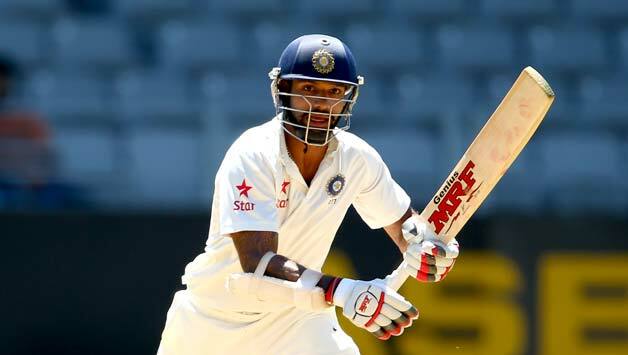 KL Rahul had named as the replacement for Shikhar Dhawan. But, unlucky, Rahul also injured. Gautam Gambhir, who had been in terrific form in the ongoing Ranji trophy, named as the new opener for Indian Test team. But, he failed to score big against New Zealand and England. As a result, he was dropped from the 2nd test against England. As he failed to prove his fitness, BCCI recalled recovered KL Rahul for opening slot for the 2nd Test against England. KL Rahul, who opened the 2nd Test with Murali Vijay, failed to prove his fitness. He scored 0 and 10 in the first and second innings of the 2nd Test respectively. Shikhar Dhawan, eyeing to make comeback again to the National team. So, he is to play the Ranji Trophy matches for Delhi team. After Gambhir dropped from the squad in the 2nd Test, he was joined with the Delhi team to play the next match against Rajasthan on November 21. Fast bowler Ishant Sharma was named the 16th member of the squad, although he is likely to stay with the national team as cover.